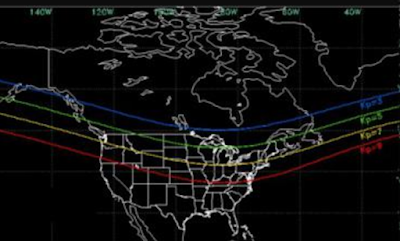 Cliff Mass Weather and Climate Blog: Potential Aurora Tonight! 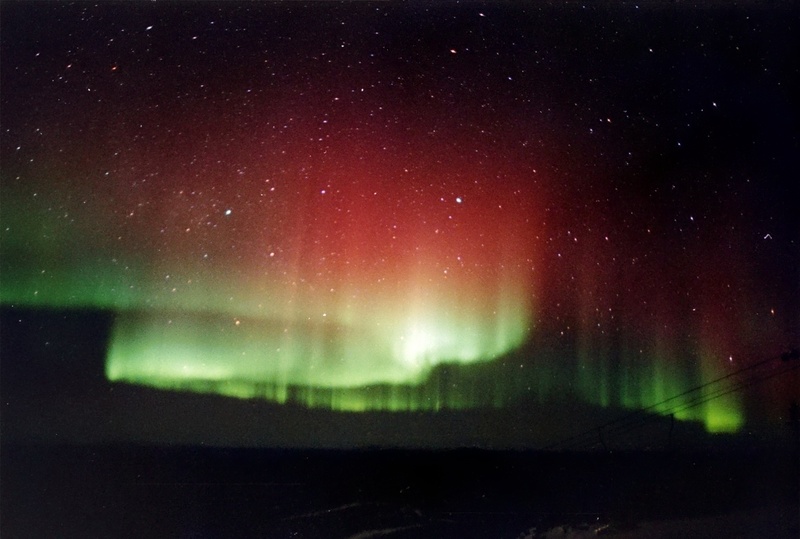 One of the most extraordinary natural sights to behold is the aurora borealis and tonight and early Sunday morning, you might have a chance to see one in our region. On Wednesday, there was a massive solar flare, followed by a coronal mass ejection (CME), on the sun. It takes a few days for electrons and protons associated with the CME to reach the earth's atmosphere. 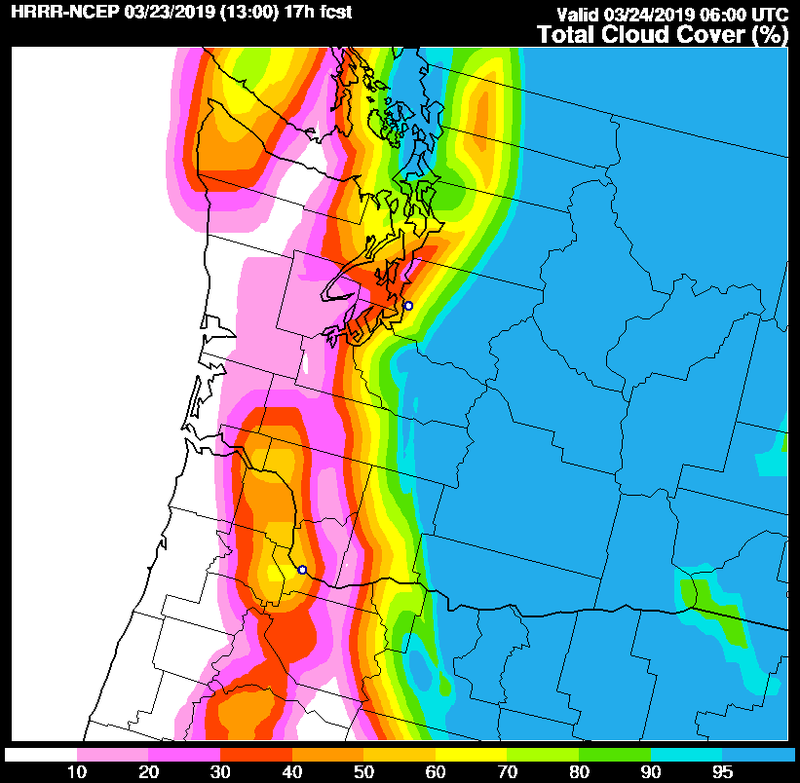 Blog reader Nick Earl suggests checking the following website to follow the progress of this event: https://www.swpc.noaa.gov/products/goes-magnetometer. 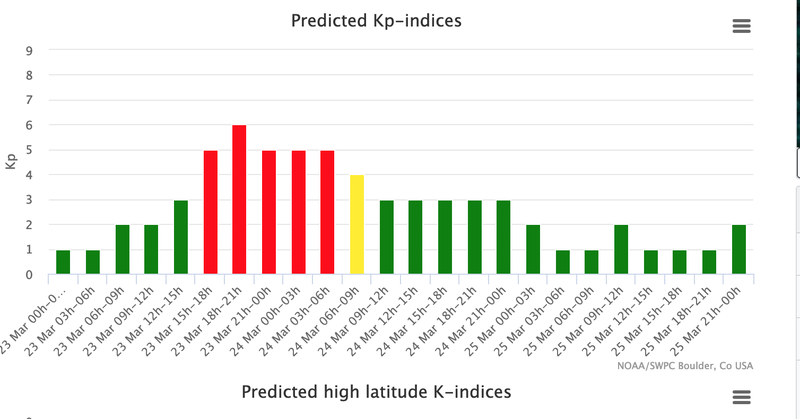 with higher (red and yellow) Kp indices (which means the potential for auroral activity) between 1800 UTC (11 AM) today and 0900 UTC tomorrow (2 AM Sunday). Furthermore, they are suggesting the potential to view auroras between the yellow and green lines on the chart below, which includes most of Washington State. 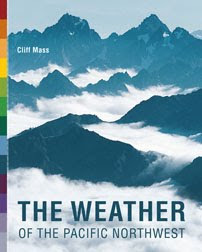 The big question, of course, is cloud cover. 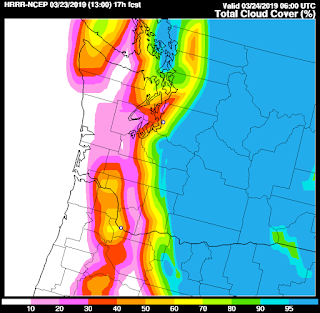 The UW WRF model cloud forecast for 11 PM tonight suggests that western WA has a chance for some clearing, with a veil of thin high clouds over eastern WA. I will certainly be looking. One of the most amazing experiences in my life was seeing one as a teenager after a star gazing event with my family. Will never forget the curtains of colored lights, constantly changing as if a wind were blowing on them. Seems like every time I hear about potential auroras, if they happen, it's 4 hours after I finally gave up watching for them. I remember my first time seeing an aurora. We were camping in northern British Columbia - I woke up in the middle of the night and saw these weird glowing lights through the top of our tent. I must admit it kind of freaked me out, until I fully woke up. But they are certainly beautiful! Where in the Seattle City limits do you think it would be possible to see this? Magnuson? I don't know if we're legally allowed after hours, for whatever that's worth in this town. Probably not safe from the humans, however. I have always wanted to see an aurora borealis! Thanks for bringing the opportunity to our attention, Cliff. Any suggestions on where to go? Maybe as far as an hour or an hour and a half from Seattle? Sadly, I don't even know what direction to look in, Cliff. Any advice on where we might want to look and/or go to get best possible view? It looks like the solar storm is moving a little slower than expected and may not pack as strong of a punch when it hits. Hopefully we'll still get a show, but at this point we can only wait and see. If they're visible, the aurora are best seen away from city lights where the skies are dark and you have a good view to the northern horizon. They also show up very well in long-exposure photography, which will show more of the colors than what the eye picks up. Big bust. Clouded over @ 10 last night. Anybody see it? There is an aurora cam located in Trout Lake, WA, which looks toward Mt Adams. Looks like nothing but heavy clouds last night. Looks like this was a bust - no aurora per SpaceWeather. 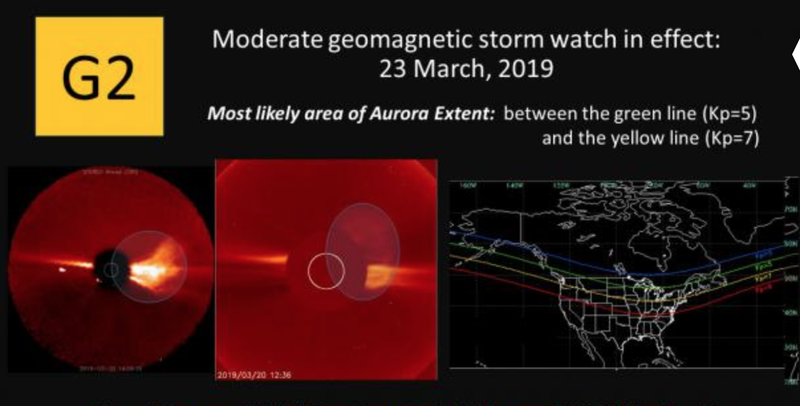 Looks like predicting auroras is a lot like predicting the weather. My wife and I looked for the Aurora last night around 2330 from a location on the Olympic Pennisula. It was utterly dark, with zero local light pollution, and only a touch of pollution in the distant north (from Victoria, across the Strait). Sky was crystal clear. Pretty much perfect conditions. Alas, it was either too faint for our old eyes to see, or it wasn't happening. I've seen the lights from just north of the Arctic Circle (67 degrees north to be specific), and while what I saw wasn't considered a great display by the locals, I thought it was amazing. Unfortunately, my brief bit of business up there was related to radio communications (HF), back before communication satellites, so it was very frustrating given the sunspots were totally trashing the ionosphere. Kind of an issue given we were an Airways Station and flights over Greenland and the North Atlantic depended on HF to check in (they were never close enough to a station to use line-of-sight VHF/UHF except when landing). Nobody was talking to anyone that night. Lots of lonely pilots were high up there in the sky, presumably watching the lights flicker as they flew over forbidding terrain and cold oceans, when they'd really rather be communicating with someone. Seems weird today that all these airliners and military planes were incommunicado whenever the ionosphere was too trashed for HF. Troposcatter links were the only thing that worked for ground stations, and you can't mount a 20 foot wide parabolic dish on a plane. Doesn't seem all that long ago. It would be nice to see the lights again in all its glory without traveling way up there again. 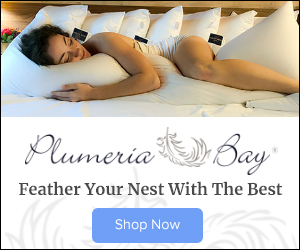 Did you see it? I looked a couple of times last night and saw nothing.